What the heck is this letter from CivilCourtNotice.com, Lawsuit Notification Company, or LawsuitIssue.com? It’s an advertisement. 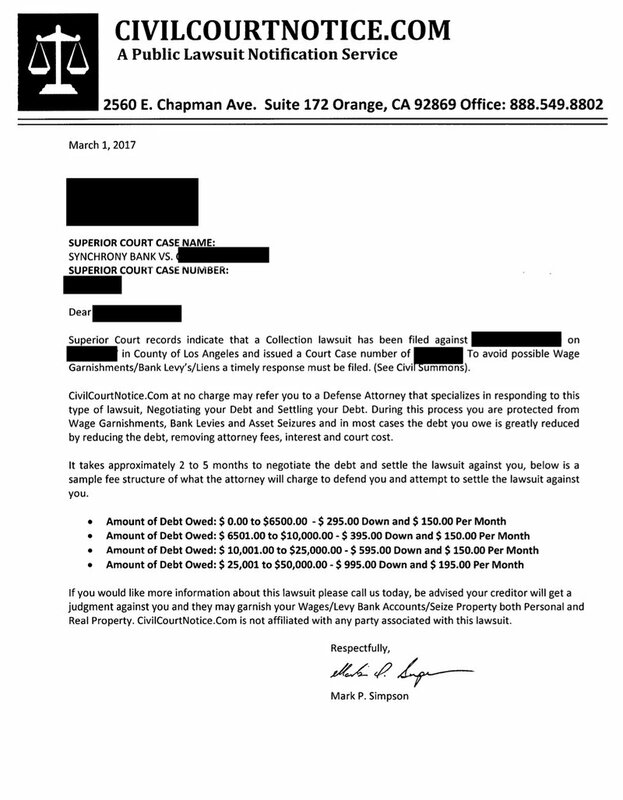 CivilCourtNotice.com, Lawsuit Notification Company, or LawsuitIssue.com apparently sends this letter to everyone in southern California who is sued by credit card companies and/or debt collectors. Usually, the debtor receives this letter even before the process server arrives to serve them notice of the lawsuit, so this is often the first notice people receive that they have been sued. My other theory is that CivilCourtNotice.com, Lawsuit Notification Company, or LawsuitIssue.com are owned by certain creditors, who use this as a way to file suits, then get you to call them to negotiate (through their front company) without you hiring me or a credit card defense lawyer like me to defend and properly negotiate the suit for you. That gives me the opportunity, as a debt defense attorney, to explain that they have been sued by a debt collector, and to give my free phone consultation, during which we can discuss whether it’s better to fight their case in court to negotiate with the creditor, or to file bankruptcy. What Do I do Once I Receive a Letter from CivilCourtNotice.com, Lawsuit Notification Company, or LawsuitIssue.com? If you are anywhere from Santa Maria to San Diego (including Ventura, Oxnard, Santa Barbara, Camarillo, Simi, Santa Clarita) – Call me for your free, friendly, no-pressure phone consultation. I’m happy to discuss your case with you, and I will explain your options. For some people, bankruptcy may be a good choice. 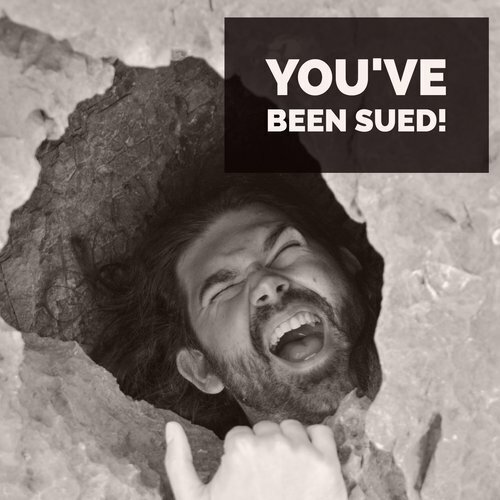 For other people, bankruptcy is a poor choice, and I may recommend defending your lawsuit. We won’t know until we chat. At this point, all you know is that you’ve been sued. So, why not get some free info from a friendly attorney who defends debt collection cases and sues debt collectors? Often, by defending debt collection lawsuits, we can either get rid of your debt entirely, or negotiate it down to a level you can manage, without risking wage garnishment, bank levies, or liens on your property.